Britain What would a super safety rep look like? It's down to you The government is axing safety controls and a cut back and commercialised Health and Safety Executive (HSE) is a stranger in most workplaces. Who’s picking up the slack? Trade union safety reps of course, who in October 2017 celebrate the 40th anniversary of their lifesaving role. Safety respect Is it possible to take a dysfunctional workplace with high levels of assaults, sickness and poor morale and in less than a year make it a haven of safety and worker contentment, with managers respecting and valuing the union role? Union rep Mark White explains how they achieved just that in his workplace. Consultation consultation [Hazards 94, May 2006] The government is kicking off another “employee consultation” consultation. This time, says TUC’s Hugh Robertson, it should introduce meaningful changes to recognise the lifesaving role of union safety reps. In the UK we have kinda, sorta rights. The sort of rights that mean you can refuse dangerous work, but you risk being fired for your trouble. Where you have a right to speak up but where your boss could still turf you out. And anti-union laws and union busting firms are now making life at work more dangerous still. 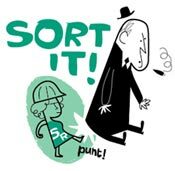 Hazards outlines the law on victimisation of safety reps and on safery reps rights..
Union safety reps have a dramatic, positive impact on safety at work - and the more training they get, the more marked the "union safety effect." Hazards reports how the union training on your doorstep and now in cyberspace can be a workplace lifesaver. The rights and roles of workplace safety reps around the world. Roving reps What should unions do when a workplace hasn't got a workplace safety rep? Roving reps or Workplace Safety Advisers (WSAs) covering several workplaces could be the answer. Notices Union inspection notices (UINs) and provisional improvement notices (PINs) are allowing union reps to take workplace safety enforcement into their own hands. Union effect Hygienists might have a measure of it and doctors a diagnosis for it, but only workers with collective power have much chance of doing anything about workplace harm. Hazards shows how. GMB safety reps' rights webpage, including "10 safety representative tasks"
USDAW "Health and safety reps' handbook"
The Health and Safety Executive (HSE) has produced a new accident book – and it includes changes of crucial importance for the work of safety reps. The new version confirms safety representatives must have access to information on work injuries, regardless the requirements of the new General Data Protection Regulations (GDPR). TUC blog. HSE Accident Book, 2018 edition, TSO – make sure your workplace has the ticked-boxed up-to-date version. Risks 872. Do you know how the TUC informs its health and safety policies, priorities and campaigns? It listens to the feedback from unions and their safety reps.
UNISON health and safety reps “go beyond the call of duty,” general secretary Dave Prentis declared at the union’s Safety Rep of the Year awards. The public service union’s event also celebrated the positive difference 40 years of safety reps have made to ordinary people’s working lives. UNISON news release. Risks 837. The TUC is developing exciting new ways to train its legions of union safety reps. Every health and safety representative recognises the benefit of good trade union training, says Jackie Williams of TUC Education, noting it is what gives reps the skills to do their lifesaving, life enhancing job and to keep a safe distance from the employer. On course: The future of safety rep training, Jackie Williams, Hazards magazine, number 140, 2017. TUC Education website. Risks 831. Britain: What would a super safety rep look like? As part of the TUC’s work celebrating 40 years of union health and safety representatives, the union body is planning a resource on how to expand the existing legal role of these life-saving union reps. The TUC says it is pulling together examples of health and safety representatives reaching agreements that go beyond the requirements on employers under the 1977 Safety Representatives and Safety Committees Regulations, such as the right to stop the job, roving reps or Union Improvement Notices. The TUC marked the 40th anniversary of a landmark safety law on 25 October, celebrating four decades of lifesaving work by trade union safety reps. The Safety Representatives and Safety Committees Regulations 1977 gave union reps legal rights to act on health and safety concerns in workplaces. TUC news release and Safetyreps@40 report, case histories and resources, leaflet and Union effect report. The TUC has said it is crucial the government’s Trade Union Bill faces a robust challenge – not least because it could make work a far more dangerous place. Hugh Robertson, the union body’s head of safety, said the proposed measures would allow the government to restrict the time given to trade union health and safety representatives in the public sector, allow inexperienced and inadequately trained agency workers to substitute for skilled, safety savvy workers during strikes, and restrict the ability of workers to strike over safety issues. TUC safety poster to print off and use and related Twitter and Facebook versions for use online. TUC Stronger Unions blog, The Union Effect report and Trade Union Bill briefing. We’re here to stay! Unions challenge wrong-headed government attack that could cost lives, Frances O’Grady, Hazards online report, September 2015. A new system for safety reps to report problems at work after formal processes have failed has been launched by the Health and Safety Executive (HSE). The TUC says the new HSE ‘Concerns and advice form for safety representatives’, which can be submitted by post or online, comes into use when other formal processes have been exhausted. Members of the seafarers’ union Nautilus International in the UK are being urged to contact their MP and encourage them to sign an Early Day Motion (EDM) calling for improved rights for union safety reps onboard ships. Nautilus says under current laws, shore-based health and safety representatives have a legal right to attend a trade union-approved health and safety training course as soon as possible, whilst seafarers are only required to undertake onboard health and safety training at some stage. Health and safety is helping build union influence in parts of a communication giant which has demonstrated “residual resistance” to the union. CWU has more than doubled the number of union health and safety reps in Virgin Media to 17, with 10 new reps recently put through their paces in an intensive five-day union-run training course. Britain: Could union learning nurture safety reps? Unions continue to play an effective role in representing workers, a report has concluded, with some non-traditional activities like ‘unionlearn’ sometimes acting an incubator for new union safety reps. Stress, bulling and harassment, back strains, slips, trips and falls, and overwork top the list of workers' safety concerns, according to new TUC research. The union body's 2010 survey of safety reps found nearly two thirds (62 per cent) of reps say that stress is in the top five problems faced by the workers they represent. The TUC has published an online resource pack for health and safety representatives. The lengthy list of resources includes three new publications - an introduction to being a health and safety representative, a guide to reporting, and information on what to expect if an inspector visits. The latter includes a link to the actions that official health and safety inspectors are recommended to take when they encounter breaches of the various regulations on consultation over health and safety issues. Wednesday 27 October, the mid-point of this year’s European Health and Safety Week, is National Inspection Day, when union health and safety representatives are encouraged to inspect their workplace. You’ve done the courses, got the experience and you’ve still got a hankering to learn more. If so, you might want to consider the TUC Diploma in Occupational Health and Safety. Penny Gower, a safety rep with the Scottish teaching union EIS, has criticised the flimsy protection provided by employment tribunals to those who stand up for safety. “The ET ruled that I had been unfairly dismissed due to the College summarily sacking me without an appeal, but concluded that they had been right to dismiss me anyway,” said the sacked Carnegie College tutor. Britain: Calling all safety reps! The TUC wants to hear from trade union safety reps – what you are doing, what concerns you, and what problems and successes you are encountering while wearing your union safety hat. The eighth TUC survey of safety reps is designed to provide the TUC and individual unions with information about their safety reps and their experiences and needs. A regular thumb-through the workplace accident book is a technique used by lots of union safety reps to determine any worrying trends. But the union GMB has now gone a step further, with the introduction of its own “unofficial” purpose-designed safety reps’ accident book. Usdaw has sent each of its 4,600 health and safety reps a leaflet reminding them of the importance of using their legal functions to defend health and safety standards in the current down-turn. ‘Hard times - protecting health and safety standards in a recession’ points out why health and safety standards can slip when the money is tight. Firefighters’ union FBU is using its nationwide network of safety reps to investigate work-related health problems across the service. A new strategy, spelled out in a video clip on ‘fbutube’, is looking to use bodymapping establish the extent and causes of harm caused by work and to use this information to identify measures to improve work practices. Is it possible to take a dysfunctional workplace battered by assaults, sickness and poor morale and in less than a year make it a haven of safety and worker contentment, with managers valuing the union role? UNISON rep Mark White, writing in the new edition of the trade union magazine Hazards, describes how they achieved just that in his workplace. Trade union safety reps have a “huge potential” for improving workers’ health, a Europe-wide investigation has concluded. The ESPARE project – full name ‘The Impact of Safety Representatives on Occupational Health: A European Perspective’ – was launched in 2006 by the European TUC’s health and safety research arm, REHS. A copy of the newly revised 1977 Safety Representatives and Consultation Regulations, the related Approved Code of Practice and associated guidance can now be downloaded from the TUC website. 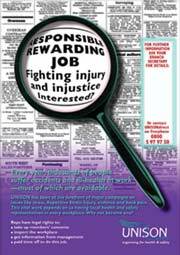 The new, improved resource replaces the ‘Brown Book’ and is the key resource on safety reps’ legal rights at work. Experienced safety reps who want to take the TUC Diploma in Occupational Health and Safety can now apply for next year’s intake of the online course. The course gives reps the opportunity to question the development and function of health and safety law, discover how to build trade union organisation for health and safety and tackle health, safety, welfare and environmental problems. 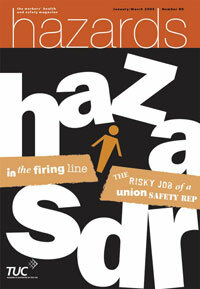 Hazards magazine’s latest edition includes the usual mix of news, features and resources. There’s also ‘Souped-up safety reps’, a centrepage special feature highlighting TUC’s plans for new, improved safety reps. The TUC has launched a new charter to enhance the role of safety representatives in the workplace. TUC also wants employers breaking consultation rules or denying safety reps training to face prosecution. And it is calling for measures to create more safety reps covering many more workers. Workers who refused to work at Canadian firm IMP Aerospace because of concerns over safety returned to the job this week after receiving a commitment their complaints would be addressed. The workers, members of the Canadian Auto Workers (CAW), had refused to start work at the IMP facility at Halifax Stanfield International Airport. Safety reps who already have basic training under their belt, now have the option to take the next stage of their union safety education online. From October, TUC’s ‘Next steps for safety reps’ course will be available web- as well as college-based. The world's largest steel company and trade unions representing its employees worldwide have signed a groundbreaking agreement to improve health and standards throughout the company. The global union federation for the metalworking sector, IMF, said the agreement with ArcelorMittal recognises the vital role played by trade unions in improving health and safety. Britain: Get trained, get organised, get safe! Training trade union safety reps in the links between workplace safety and union organisation is a top priority for TUC. Liz Rees, head of TUC’s education service, made this plain in a new interview with the trade union safety magazine Hazards. A long-running union campaign has won a multi-million pound improvement programme in Glasgow schools. Scottish teachers’ union EIS had warned that schools across the city had inadequate ventilation systems, causing overheating, low humidity and uncomfortable, unhealthy teaching and learning conditions. “Involving workers in managing health and safety at work is a key to improving our record in this area,” NZCTU secretary Carol Beaumont has said. Her comments followed the release of the New Zealand government’s Workplace Health and Safety Strategy second progress report. Britain: Get TUC certified online! Construction unions and contractors are calling for roving safety reps to be brought back in a bid to cut death and accident rates on sites. They claim the reps – which operated on sites in a now defunct government backed worker safety adviser (WSA) scheme - are the best way to spread the safety message among small contractors. A union safety rep on London’s Tube system who was prevented from fulfilling his health and safety role by London Underground has won thousands of pounds in compensation at an employment tribunal. London Underground was found to have “wilfully and deliberately” flouted health and safety law by refusing to allow Paul McCarthy, 47, to inspect four tube lines. Union safety reps make workplace safety campaigns effective, research for the Health and Safety Executive (HSE) has found. The study looked at the involvement of safety reps in HSE’s better backs campaign, examining the impact of the training and support provided by Unite’s Amicus section. A new HSE construction “task card” advises site staff to “Think First, Act Safe, Stop if Hazardous and Keep Safe.” It is rare for HSE to be so explicit on the stop work issue, although section 7 of the Health and Safety at Work Act places a clear legal duty on workers to take care not to put themselves at risk, and the Employment Rights Act makes in an offence for an employer to victimise a worker for leaving or refusing to return to the job where there is a serious and imminent danger. Employers and the government's own safety watchdog should do more to support health and safety representatives, unions in the south west of England have warned. The alert comes after a survey of unions conducted by Hazards magazine concluded the top problem facing union safety reps is getting employers to act on safety concerns. A union safety role that saves society millions each year and prevents thousands from being injured or made sick is being undermined by a lack of support from employers and the government's official safety watchdog. Checkout workers should checkout their checkouts or risk back pain, retail union Usdaw has warned. It says its simple 10 point ‘Checkout Checklist’ will help stamp out back pain for till operators who are shifting several metric tonnes of goods during an average shift. 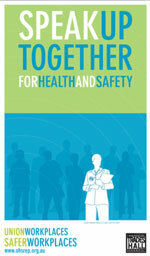 National Inspection day this year is on 25 October, the Wednesday of European Health and Safety Week. The TUC, ever keen on getting safety reps inspecting, has produced a poster for the day, and there is a page on the TUC website publicising the event. workers - a guide for safety representatives. A trade union safety rep has exposed “blatant” safety failures at cleaning company Romec. Postal union CWU said a “determined investigation” by CWU area safety rep Andy McArthur has “uncovered a number of unacceptable health and safety shortcomings in Romec Cleaning Services”, a contractor providing cleaning services to Royal Mail and a range of blue chip companies. Britain: What did HSE ever do for trade unions? Unions and Health and Safety Executive (HSE) might have occasional differences – OK, really big bust-ups – but that doesn’t mean there’s not a lot of good stuff going on too. A new briefing from HSE lists over 20 positive recent developments, from the creation of a “worker involvement programme” with dedicated staff and its own impressive six-figure budget, to joint working on campaigns and publications. Britain: What’s it like out there? The TUC wants to find out what safety reps are up to. TUC’s sixth survey of safety reps is designed to provide the TUC and individual unions with information about where their safety reps can be found, and about their experiences and needs. About the TUC Safety Reps Survey 2006 • Online survey form – fill it out now! Britain: New rights – now it doesn’t hurt to ask! The TUC has produced a handy guide to help safety reps respond to the Health and Safety Executive (HSE) consultative document on how to encourage, improve and increase worker involvement in health and safety. Britain: Speak up for better safety reps’ rights! Strike action by more than 750 RMT platform station staff and guards at newly re-privatised South Eastern Trains was averted this week after the company withdrew cuts in platform staff and agreed to honour a pledge to staff certain “high risk” stations. Want better rights for trade union safety reps? Then you better speak up now. After lengthy pressure from the TUC, the Health and Safety Executive (HSE) this week issued a Consultative Document “to seek views on how to encourage, improve and increase worker involvement in health and safety risk management. Improving worker involvement – Improving health and safety, Consultative Document CD207, full consultative document, summary document, print-off-and-use feedback form and online feedback form. Single printed copies of the Consultative Document and summary can be obtained from HSE Books, PO Box 1999, Sudbury, Suffolk CO10 2WA, Tel: 01787 881165, Fax: 01787 313 995. An investigation by Health and Safety Executive (HSE) boffins into workforce participation in non-union workplaces has found most are clueless when it comes to consultation rules and there is very limited participation from the workforce as a whole. A £1 million fund to encourage greater worker involvement in health and safety in small businesses is accepting applications. The Health and Safety Executive (HSE) operates the Worker Safety Adviser (WSA) Challenge Fund - worker Safety Advisers are a watered-down and extremely rare version of the national system of roving union safety reps unions have been seeking for over a decade. The TUC has published ‘Hazards at work: Organising for safe and healthy workplaces’, the epic, must-have, one-stop guide for safety reps and anyone else who knows the difference between seeing a safety problem and solving it. Union workplaces are safer, healthier places for a reason – because union organisation keeps them that way. It’s not that we know more – although we usually do – it is because we have the numbers, the support and the skills to get our safety message across. Oil industry workers need better health and safety protection and rights, the offshore union Amicus has told the government. At a meeting in Aberdeen this week, union leaders told health and safety minister Lord Hunt there should be a complete revision of the “fundamentally failing” health and safety representative regulations for offshore workers. Safety reps can use employment law to force employers to hand over crucial safety information, a workers’ health and safety watchdog has said. Employment advisers from the London Hazards Centre (LHC) say some employers are using the Data Protection Act as a legal smokescreen to deny safety reps access to information to which they are clearly entitled under the safety reps’ regulations. The legal rights of union safety representatives are spelled out in the 'Brown Book' - the one-stop source for the regulations, code of practice and guidance on safety representatives. The TUC has produced a version of this essential reference guide for training purposes, available online for the first time. 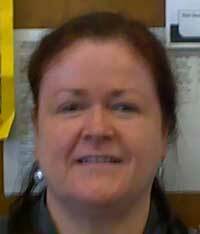 A trade union college has won a prestigious national health and safety award. The Association of Colleges (AoC) "College Champion" health and safety award for 2005 went to the Trade Union Studies Centre at Lewisham College, which took top honours for its collaborative "body mapping" project with construction union UCATT. The Transport and General Workers' Union secured over £72 million in accident and injury compensation last year for individual members. It says this takes the total compensation settlements won since the union was founded to over £1.65 billion. An apple a day is supposed to keep the doctor away, but scientific and specialists' union Prospect has added a banana and an orange to the recipe in a bid to improve workplace health and safety. Three new fruity health and safety posters from the union stress the importance of workplace health and safety inspections and health and safety representatives. The safety rep colonisation of cyberspace is continuing at warp speed. A new and extremely impressive addition to the galaxy of safety reps' websites is "HandS", the brainchild of an Amicus health and safety rep, is among the most comprehensive sources of well-targeted information you are ever likely to find. London's unions have prepared an ambitious roadmap for a health and safety rep in every workplace and a "positive and meaningful partnership between that rep, the employer, unions and the Health and Safety Executive." One in three health and safety reps has been intimidated into not raising health and safety concerns, a survey in the Australian state of Victoria has found. The same number reported being bullied after raising a health and safety issue in the workplace. An October 2004 participatory seminar on the future of safety reps will discuss the work of trade union safety representatives. Further information online or telephone 020 7794 5999. Union organisations in the Australian state of Victoria have launched a campaign for sweeping new workplace health and safety rights. Victorian Trades Hall Council's "Getting it right" campaign aims to press the state government to honour its commitment to revise health and safety laws. Union schemes will dominate the first round of Worker Safety Adviser (WSA) Challenge Fund projects. TUC head of safety Hugh Robertson welcomed the recognition of the positive union role, but warned: "This initiative is very limited and we still need changes to the safety reps' regulations to ensure that we have roving safety reps and better rights to extend the benefits of the union safety effect nationwide." Six thousand trade union health and safety reps have been trained in just one year in a bid to drive down New Zealand's alarming toll of workplace death and injury.